"I'm enjoying The Rise of Atlantis. It has just enough simplicity to pass the time, and is tricky enough to actually devote some time to it. I'd recommend it." Raise the legendary continent of Atlantis. In this extraordinary puzzler with spectacular features, you will embark on an adventurous quest around the ancient lands of Greece, Troy, Phoenicia, Babylon, Egypt, Carthage and Rome to gather the seven powers of Poseidon. 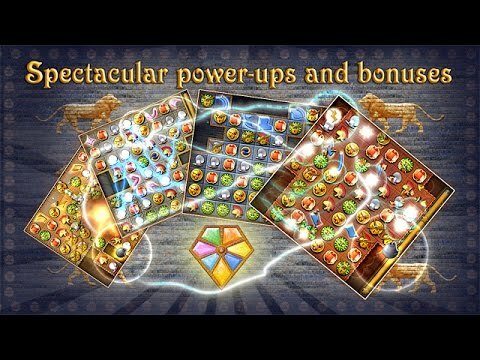 With hours of captivating levels, truly unique twists and continuous replay ability, The Rise of Atlantis will capture your imagination.